This week on drama on the waterfront, we hang out with the team at Capital E as they get busy with the Capital E National Arts Festival. 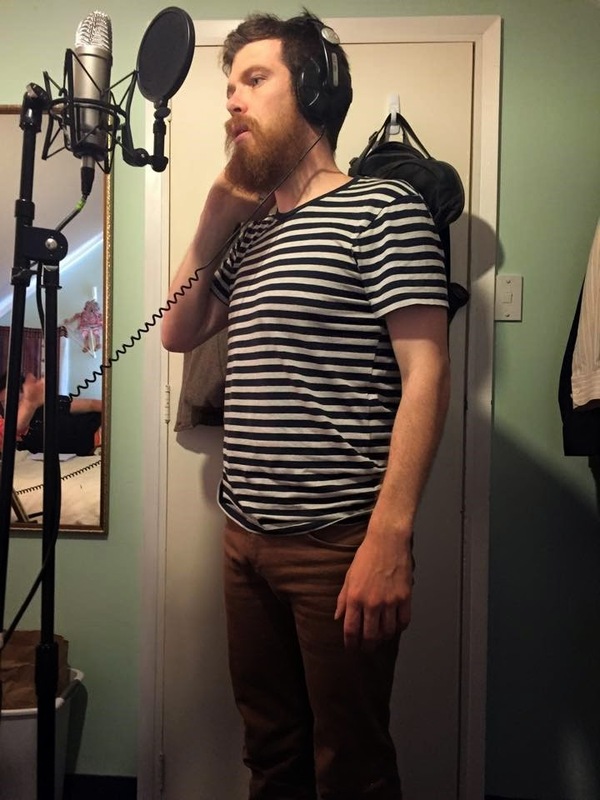 After a stellar sell out first weekend of the Capital E National Arts Festival at Circa Theatre with Caterpillars, Trick of the Light Theatre presents their latest work, Beards! Beards! Beards! Trick of the Light Theatre have been busy ensuring this show has giant moustaches, can be packed into four boxes and two suitcases, and has Christina Aguilera style recordings as part of the show. 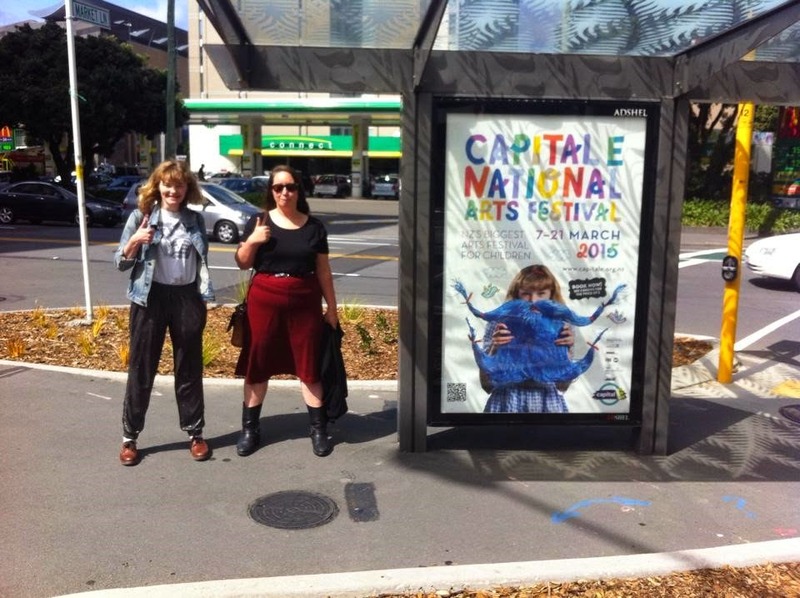 Meanwhile staff at Capital E have been busy ensuring that cast member Abby Howells’ face is everywhere around town. Seriously. It’s ridiculous. 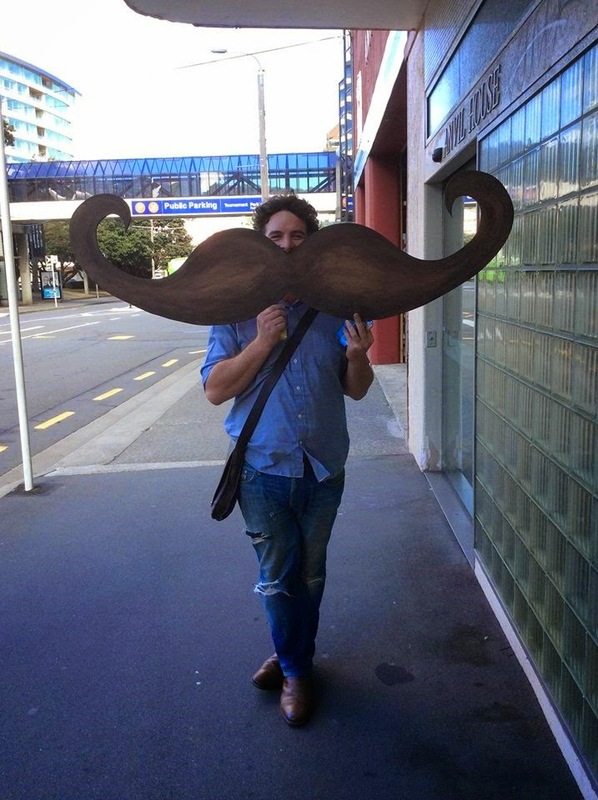 Nick Zwart with giant moustache. Cast member Abby Howells and Director Hannah Smith standing next to life sized ad shell image of Abby Howells. 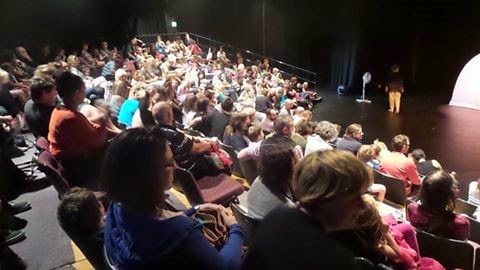 The audience at Circa Theatre for Capital E National Arts Festival's opening weekend. 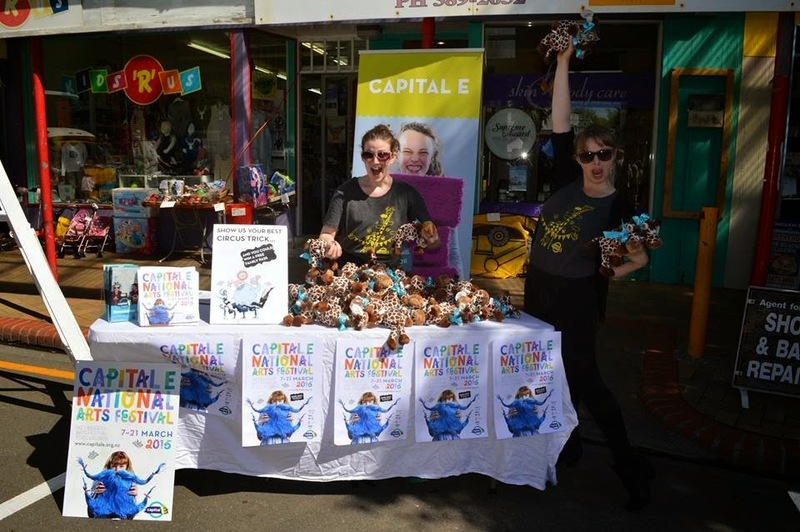 Capital E’s Sarah Leary and Pippa Drakeford at the Newtown Festival. 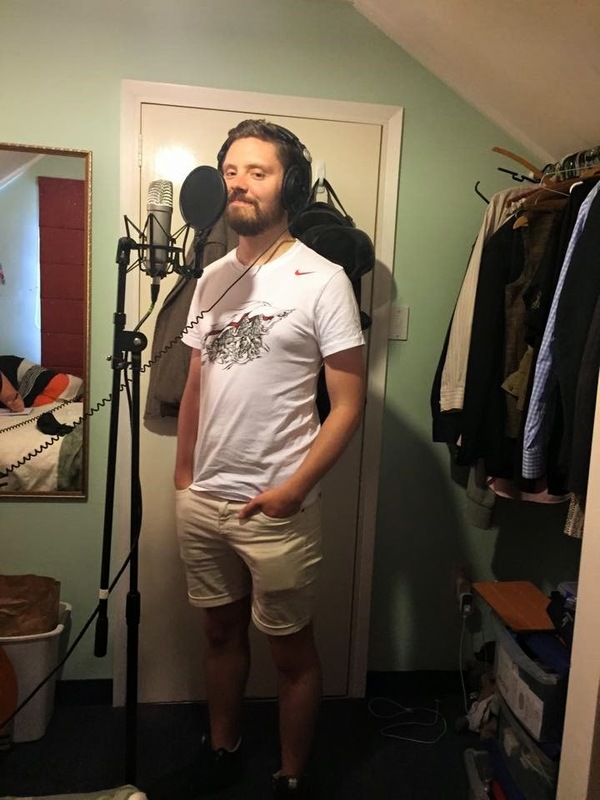 Ralph McCubbin Howell recording swish sounds. Paul Waggott getting his Christina on.